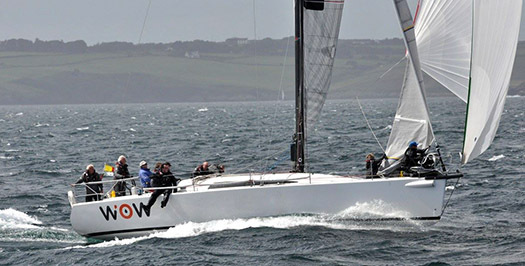 ICRA, the Irish cruiser–racer body has awarded its 'Boat of the Year' award to cruiser zero National Champion WOW, George Sisk's Farr 42 from the Royal Irish Yacht Club. The announcement was made today by outgoing ICRA Commodore Nobby Reilly after an ICRA executive meeting in Portlaoise, County Laois. WOW faced stiff competition from a selection of top cruiser racer campaigns for ICRA's top award. At today's meeting ICRA judges gave merit awards to the following boats: Checkmate, Encore, Equinox and Ruth. Shortlisted boats for the ICRA award are previewed here. The meeting elected a new Commodore for a three year term. Simon McGibney from Kilrush in County Clare took over the top job from Reilly of Howth. More on details arising from the ICRA executive meeting on Afloat.ie next week.